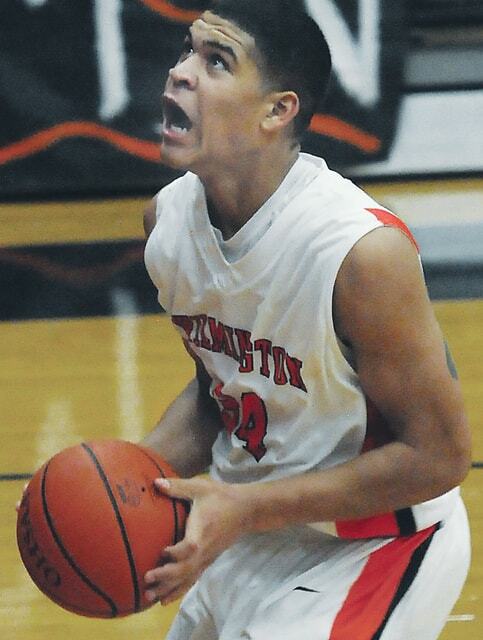 Wilmington High School senior Jarron Cumberland, son of 1989 Hillsboro High School graduate Scott Cumberland, has given a verbal commitment to play basketball in 2016-17 for the University of Cincinnati. Cumberland, a 6-5, 215-pound guard who just returned from a five-day stay in California at the Nike Camp, selected Cincinnati over Butler, Florida State, Nevada, Purdue, West Virginia and Xavier. In the end, Cumberland said UC head coach Mick Cronin was the difference. Cumberland said Cronin made it clear he wanted Cumberland but didn’t go overboard. Cumberland averaged scored 636 points this past season in 26 games for the Hurricane, averaging 24.5 points per game. He grabbed 191 rebounds (7.3 per game) and had 84 steals. He shot 56.1 percent from the field, including 42 of 110 from beyond the three-point arc. He made 132 of 178 free throws (74.2 percent). Though he already had an offer in hand from Cronin, Cumberland visited Cincinnati last week prior to leaving for the Nike Camp. Cumberland has 1,553 career points. He trails cousin Jaevin Cumberland on the Wilmington High School boys basketball all-time scoring list. Jaevin finished his career with 1,846 points. The Clinton County boys basketball record for points scored in a career is 2,135 points held by Don Fields, who graduated from Port William High School in 1959.